Discover job opportunities within the insurance industry. 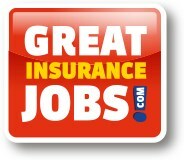 GreatInsuranceJobs.com is the premier online employment website for the Insurance Industry. Over 4,500 employers utilize GreatInsuranceJobs.com to connect with insurance professionals throughout the country.